Once again, I sewed until late on Friday night, hoping to finish a top in time to take advantage of the early morning light. 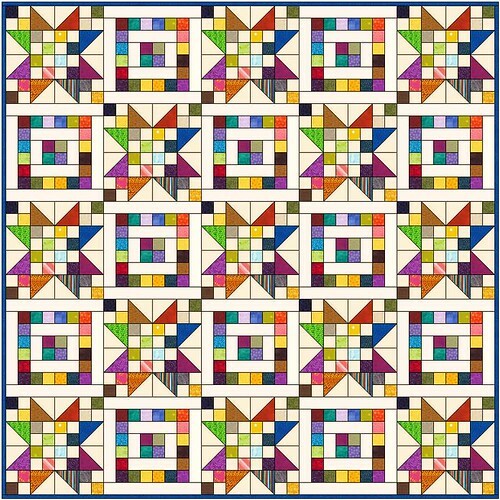 Unfortunately, I didn’t quite meet my goal, but I did get up early yesterday to finish the top, called 3xS (Scraps, Stars and Squares). 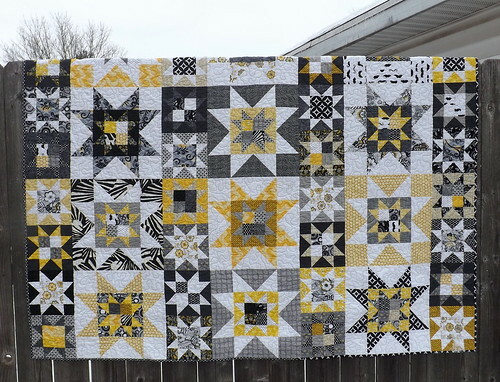 I don’t think the picture does the quilt top justice. I took the photo in the middle of the day, and though the winter light seemed weak, it was enough to bleach out some of the colors. I’m rearranging my sewing space once more. We’re still trapped in our two bedroom apartment, and will be for another year while I recover our savings and get us to where we want to be – having another adult in the house over the summer hit us more than I like financially. 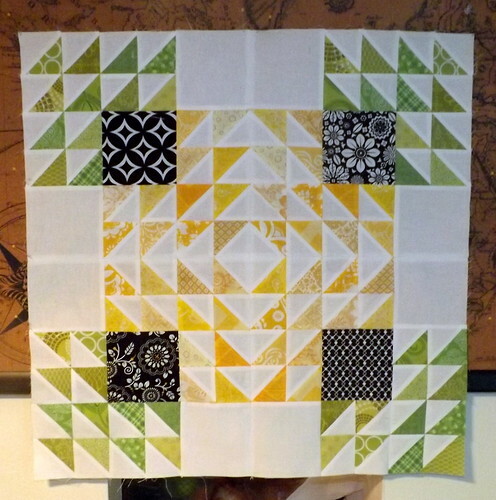 Due to being here longer than I planned, I’ve determined to set my quilting frame back up. It’s a Little Gracie II, and will handle up to a queen sized top. Not as big as my largest projects, but enough to allow me to finish at least half of the tops that I have sitting. If I plan well, I might even be able to do king-sized projects. 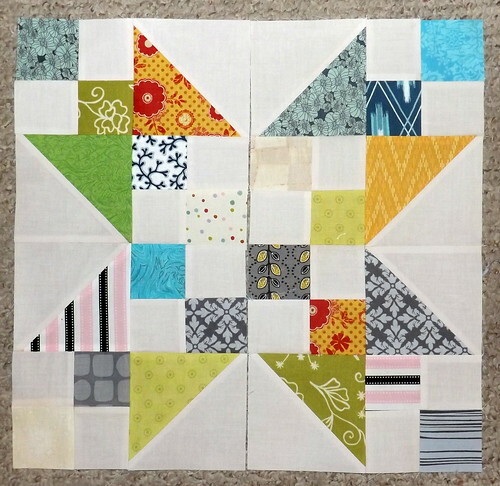 I just need to do them in segments, and then join the segments. I’ll figure that out later, after I’ve had a chance to play with the setup, and get my confidence up. 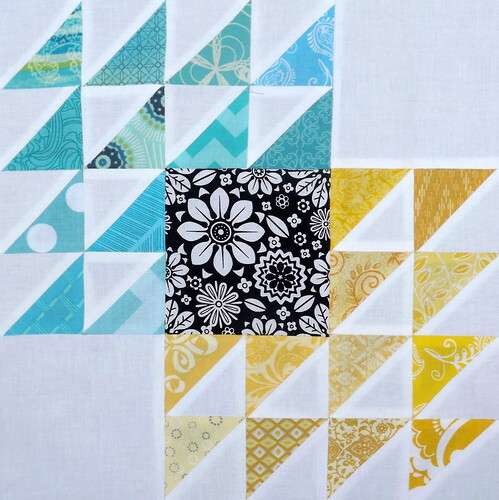 I’d try to master FMQ on my domestic machine, but the Brother PC210 just doesn’t handle FMQ well and I spent the money on the frame and the Janome that came with it. I ought to be getting my money’s worth out of them. So, starting yesterday, I began moving my stuff from the former dining room, and into the living room. Most everything is moved, I just need to figure out a bit of storage space. Right now I’m using an all metal filing cabinet for my fabric. The fabric might have to move back to a bookshelf. Not a big deal, except for figuring out how the hell I’m getting the cabinet OUT of the apartment. Anyway, back to the trenches! This project isn’t getting done while I’m blogging! I finished putting the Night Sky quilt top together on Friday evening. By then, due to our shorter days, there was no light to take photos. 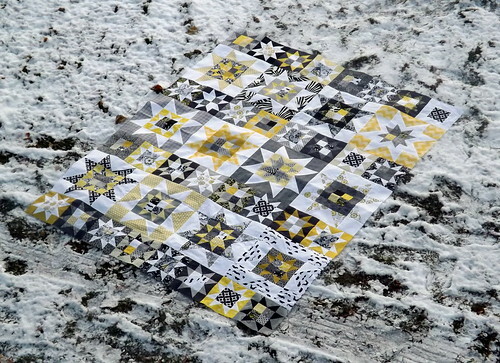 I had some time before leaving for work today, so I quickly threw the quilt down onto the snow and ran back upstairs to take a photo over the balcony. My neighbors must think I’m insane. 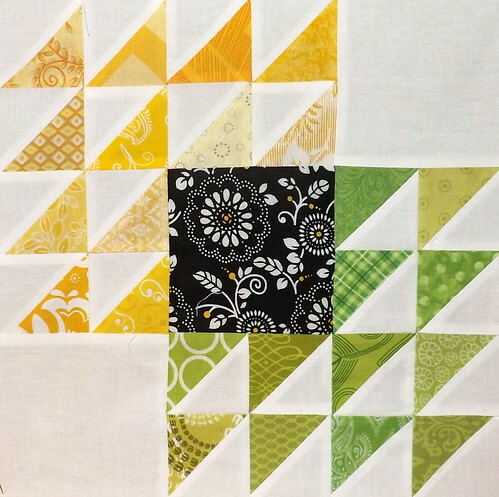 In other news, I did manage some progress on the Granny Block top, using the swap blocks I’d received. 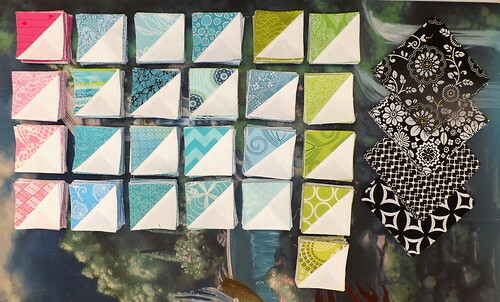 I still have a lot more blocks to make, but I didn’t feel like digging through my stash last night for aquas, greens and greys. Instead, I dug out of my scrap bucket. Because the blocks didn’t all trim down to the same size, I’m using the setting triangles to equalize them. 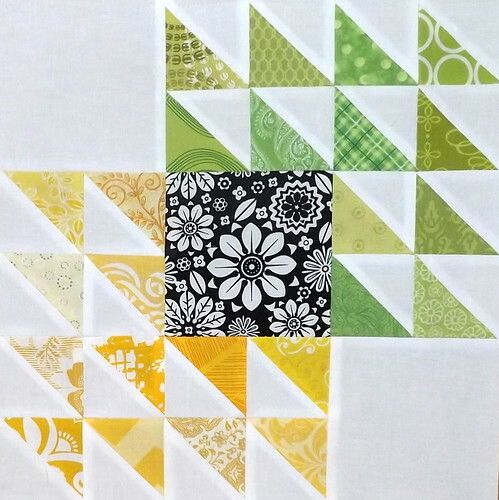 The blocks are finishing at 12.5″. 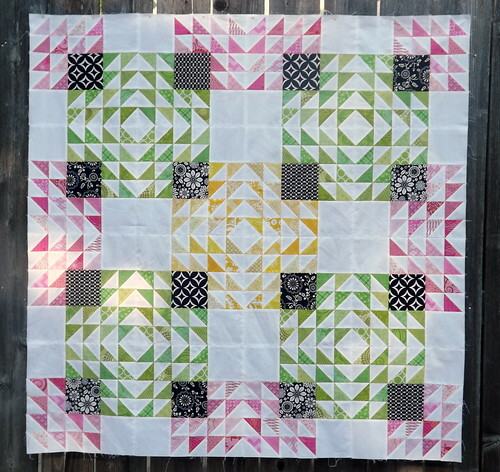 I’m using greys and creams from the scrap bucket, or smaller yardage stash to do the setting – I don’t want to cut into larger pieces for this project until I’ve exhausted my supply of smaller pieces of fabric. This is also the reason I haven’t yet pieced all of the blocks I need to make up the difference between what I have and what I need. I want to go through the scrap bucket first. I have a lot of scraps, though. Because I’ve been lazy, and not cutting them down immediately. 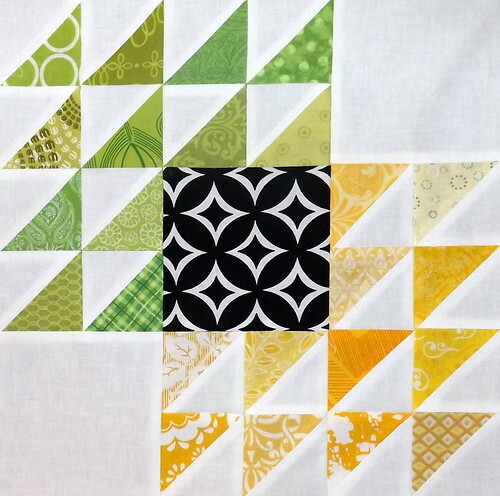 Usually, I cut my scraps into 5″, 3″, and 2.5″ squares, and then into strips for quick strip-piecing. 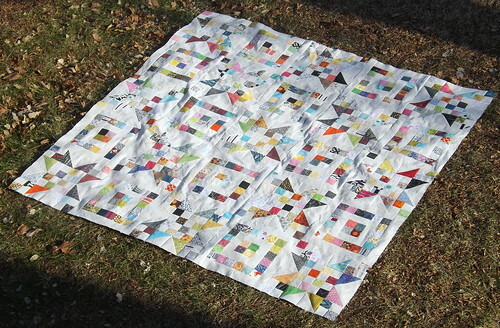 I haven’t done that in a while, so I have a bucket full of pieces that need to be ironed and then cut down, and not just in the required colors. I’m going to buckle down over this evening and next, and focus on that. And not just for this project. 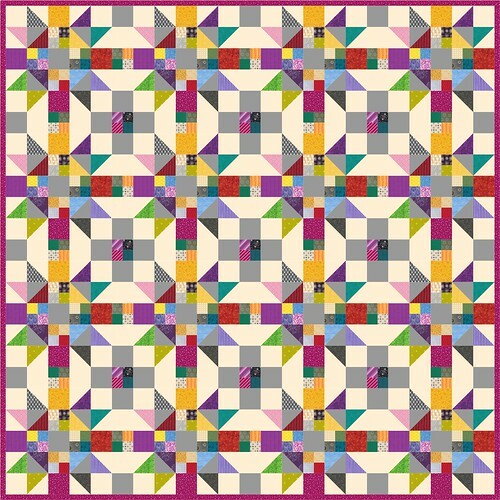 I like to have a scrap project or two going, to use up what I’m generating in scraps. Yes, that means I started another project. 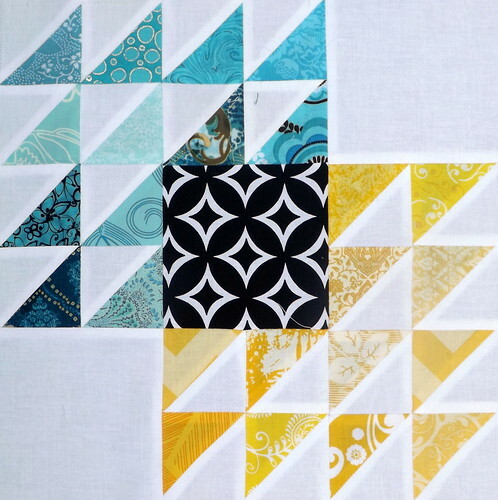 I’ve had this EQ7 project for ages, intended to use up the 5″ and 2.5″ squares that I have pre-cut. 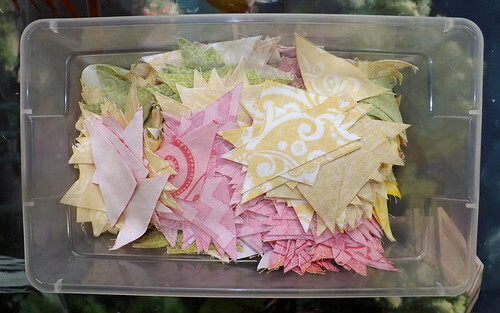 Since I’m going through my scraps anyway, and starching this batch of scraps (such a difference in how nicely it all cuts down! 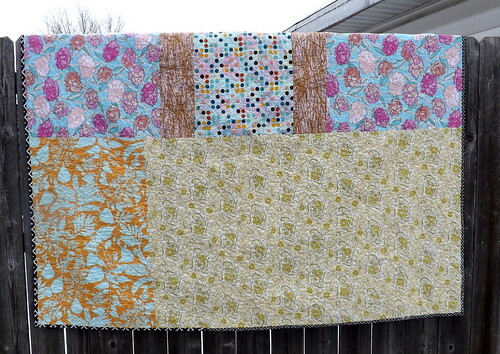 ), I decided I ought to use up some of the solids yardage I have hanging around from deciding to NOT do a Dear Jane. I bought 20 yards of an ecru colored solid, which I don’t regret. The fabric is a neutral color. I can use it in everything! I just need to use it. So, it’s become the background solid for blocks like this. 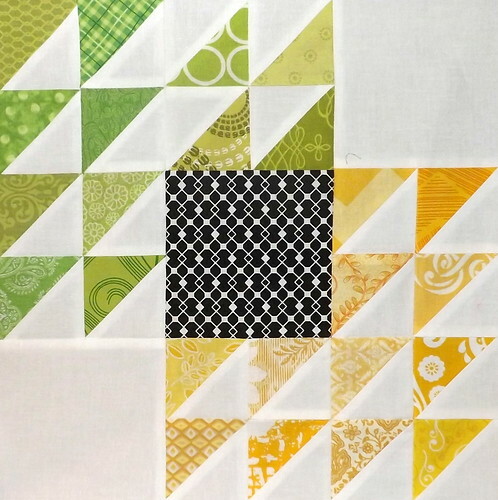 Pictured above are actually two halves – I’m attempting to ensure that a fabric is not repeated in the same block. I’m also not letting myself fret too much over the inclusion of creams, and how they kind of disappear into the background fabric. 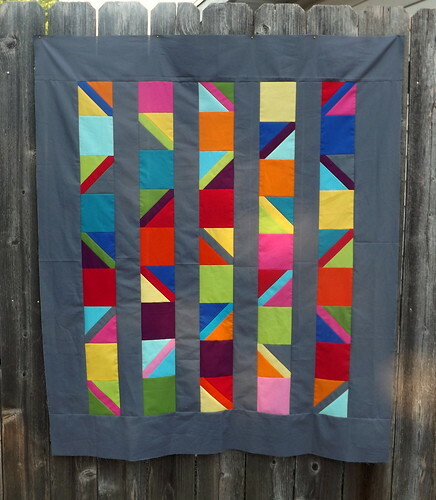 It’s a scrap quilt! I need to starch and iron a lot more yardage of this solid fabric, so I can start on the alternate blocks, which should use up a lot of what I have sitting around in scraps.